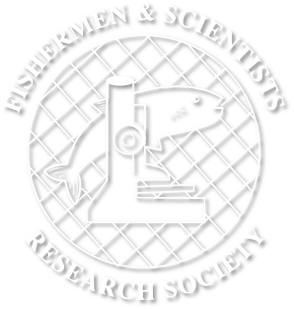 The FSRS is one of the founding members of the Canadian Capture Fisheries Research Network’s (CCFRN) Lobster Node and has played a key role in coordinating data collection and preparing training tools for participating fish harvesters. The FSRS, in collaboration with the ESFPA, Guysborough County Inshore Fishermen’s Association (GCIFA), LFA 27 Management Board, Fundy North Fishermen’s Association, and Université Sainte-Anne Marine Research Centre in Petit de Grat, worked with fishermen in LFAs 32, 31B, 31A, 30, 29, 27 and 36 to collect the required data. Sampling was planned to continue in these regions with the addition of sites in Southwest Nova and the Bay of Fundy in 2012 to fill the LFA 33, 34, and 35 gaps. Phase I of the research looked at berried females to get the most complete information on larval production. Data collection on berried females – their size, location, and stage and quality of their clutch development began in the spring of 2011. The goal of the Network’s research was to answer questions about lobster stock structure and the links between management areas and other related topics, to help us better understand our lobster fishery. Are lobsters made up of one or many populations or stocks? Are lobsters from one management area connected to lobsters in another? What is the best way to measure the overall health of and sustainability of this vital resource? For more information visit Canadian Fisheries Research Network.